A Vancouver senior is criticizing the B.C. government for taking away his driver's licence despite assessments by doctors who said he is fit to drive. "Driving has been my bread and butter my whole life, that’s how I made my living," Robert Dent, 74, told the CBC's Go Public. "I miss my job. I miss taking care of my family." "If you are confused and or have dementia, of course you shouldn’t be driving," said his wife, Joanne Ogilvie. "But in his case there is nothing wrong. There never was." Dent, a member of the Teamsters union, drove trucks for the film industry. Two years ago, he had a minor stroke, but his family doctor said afterwards Dent was fine to keep driving. A neurologist also found "from a neurological perspective … he could drive." "The neurologist said the area that he had the stroke in his brain has nothing to do with cognitive ability," Ogilvie said. "It’s the complete other side of his brain." A few weeks later, Dent drove to an appointment for occupational therapy at Holy Family Hospital. Records show that because he was late arriving, the occupational therapist suggested to the doctor in charge Dent should not be driving. Without seeing Dent or assessing him, the supervising physician, Dr. Elliott Weiss, reported him to B.C.’s Office of the Superintendent of Motor Vehicles (OSMV), which cancelled his licence. "[Dr. Weiss] didn’t say a word to me. He didn’t say a word to my wife," Dent said. "When I got the [cancellation] letter I couldn’t believe it, because I didn’t run anybody over with a car; I wasn’t drinking. I felt like a criminal." Eventually, Dent was given a five-hour neurological assessment at Vancouver General Hospital. Andrew Woolfenden, the neurologist, again declared Dent fit to drive. "There are no physical impairments from his stroke that impede his driving ability," Dr. Woolfenden wrote after the assessment. A report on the test, which was overseen by a neuropsychologist, says: "Observed memory issues and other isolated findings are unlikely to affect Mr. Dent’s competency to drive … there is no reason, from a neuropsychological perspective, that he should be restricted from driving." Nevertheless, the OSMV told Dent last year he would have to take a controversial computer test called DriveABLE before he could take a road test to try to get his licence back. Dent, who says computers make him very nervous, failed the test. "It’s intimidating," said Ogilvie. "He was slow on the button and didn’t do things fast enough." Two years after his stroke, Dent is still appealing the OSMV's decision to revoke his licence. He describes himself as unemployed, housebound and depressed. "That’s like being in jail for two years. It’s terrible," Dent said. "Many nights I can’t sleep for thinking how this happened. I miss my job. I miss taking care of my family." "It seems like once they’ve got your name they have just decided you are out — and there’s nothing you can do about it," Ogilvie said. 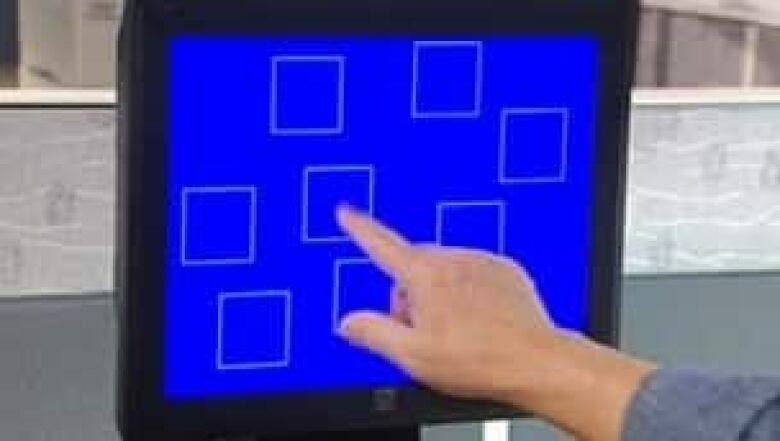 The DriveABLE computer program has been adopted by several provinces as a uniform way to test people with potential cognitive problems – basic skills needed to drive. It is a touch-screen test, done under supervision. Speed and accuracy are important factors. Last year, the program was expanded across British Columbia. In centres where it is available, the OSMV requires a person whose licence has been revoked to pass the computer test before they are allowed a road test. The program has been criticized recently by seniors who complained they are not comfortable enough with computers to be tested on one. "Most people in their 70s are not that computer savvy," Ogilvie said. "And [the OMSV] refuses to just give you an actual road test." Figures from the OSMV show 40 per cent of B.C. drivers referred to the DriveABLE test fail, which means they are not allowed to take a road test. In addition, another 45 per cent have inconclusive results; those drivers are then given a road test. Sixty per cent of people who get to that stage pass and retain their driver's licence. The Insurance Corporation of B.C. says seniors (age 70 and over) cause 95 out of every 1,000 accidents in B.C. The average crash rate for drivers of all ages is 124 out of every 1,000 accidents. "Seniors actually have a relatively low crash rate. Some of the reasons for this may be that they don't drive as much or during challenging road conditions," said ICBC spokesman Adam Grossman. "Maybe they should have a choice — one option or the other," Ogilvie said. "Take a road test [safely] or take the computer test." Dent said he has had some success arguing his case with B.C.’s College of Physicians and Surgeons. He complained about Dr. Weiss, the physician who reported him to the OSMV without assessing him. In February, the college found his complaint to be valid. Weiss declined to speak to CBC News about the case, but the college called the doctor’s actions "precipitous, arbitrary and pre-emptive." B.C. 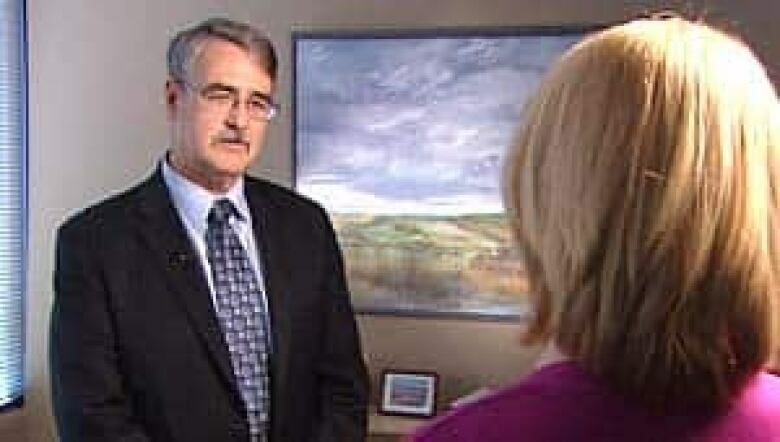 Medical Association president Ian Gillespie said the province should reinstate doctor positions in the Office of the Superintendent of Motor Vehicles. ((CBC))"Our concerns were further compounded by Dr. Weiss’s intractability with his apparent disregard of opinions contrary to his own from experts in the area who are at least as competent as himself, and further given that his own conclusions were based, perhaps exclusively, on test and testers [the occupational therapist] less compelling than those contrary experts." "When we got the [college] letter, I just kept saying ‘Wow, they agree with us!,’ Ogilvie said. "Finally somebody sees. Somebody cares and sees this should not have happened." The B.C. Medical Association said drivers such as Dent might have more success appealing directly to the OSMV if the province reinstated staff doctor positions that have been cut. There's a place for discussion of medical opinion. We'd like to see that in place again. "There’s a place for discussion of medical opinion," said BCMA president Ian Gillespie. He said there are no longer any doctors in that office to give medical discretion where mistakes may have been made. "We’d like to see that in place again," he said. "We think it’s really important. Especially because the reporting needs will go up with the demographics of the population." Gillespie also said B.C. does not have enough driver rehabilitation programs for stroke victims, who can recover lost cognitive abilities with therapy. He said patients at risk of losing their licence should be given an opportunity to improve. "They may be able to drive again with that rehabilitation, but without it there is no way of measuring their progress," Gillespie said. Ogilvie said her husband had just two brief rehabilitation appointments, but the only result was he lost his driver’s licence. "He didn’t really get any therapy. They just kind of shooed him into doing this test," Ogilvie said. 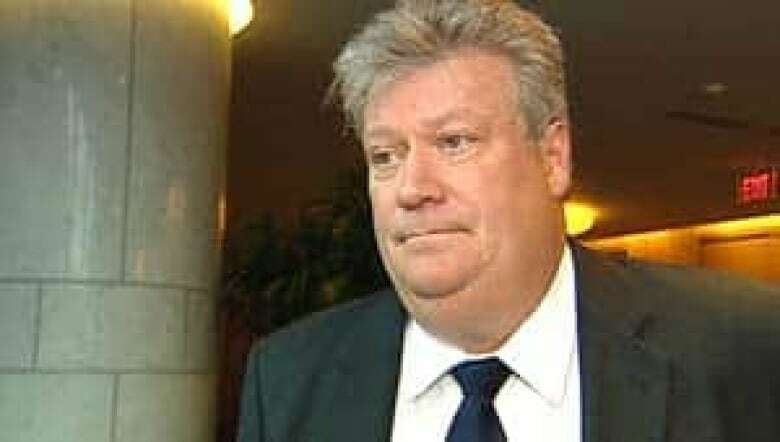 The minister responsible, Rich Coleman, told CBC News he has no problem with the DriveABLE program. However, he said, he is willing to look at Dent’s case. Dent failed the controversial DriveABLE test, which assesses driver's cognitive abilities. ((CBC))"There is an [OSMV] appeal process and they can actually cc the letter to the minister and we will always check with the superintendent," Coleman said. Ogilvie said Dent has exhausted every avenue of appeal presented to him. Dent says he hopes by going public – and given the criticism by the college of the doctor who had his licence revoked – he will get the government’s attention. "I feel like a better citizen when I have my rights and I am treated equally and fairly," Dent said. "And I feel better when I have a job."